The digital world has become immensely complicated. That’s why at KWALL we strive to create digital solutions that make life simpler. By tapping into software APIs or creating custom integrations, we make it easier for you to “connect the dots” between your website and powerful third-party software. 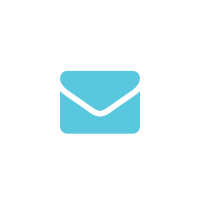 Tying one system to another to integrate huge amounts of data that help you do things, like leverage valuable CRM information or support your email marketing campaigns. 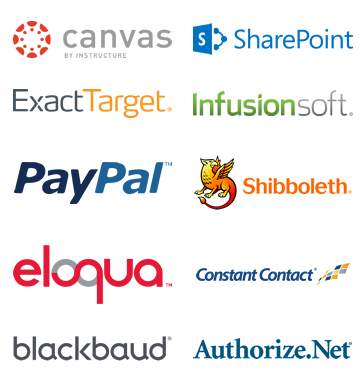 Below is just a short list of software we’ve successfully integrated with for our clients. 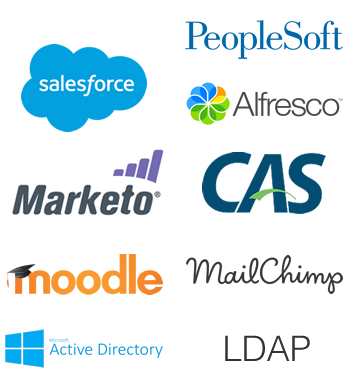 Get in touch with us and we’ll be happy to give you more details on what integrations can make your business run more efficiently and effectively.